The hustle in the era of revolution. Welcome back to the late seventies and early eighties in a story that was of the time of the glorified middle class. This was a time when music was changing drastically across the board, and there was no longer a difference between publicly loved pop and the rebellious and reckless abandon of hippies. This was a time when rock stars became living legends that challenged everything. 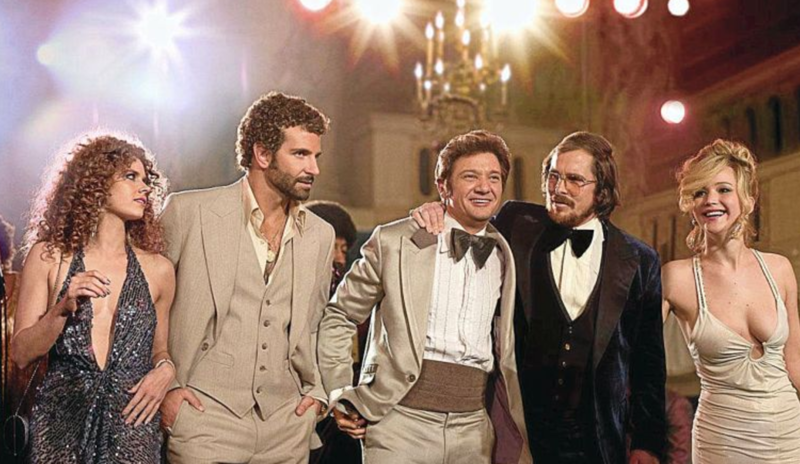 The music in American hustle is slow at specific moments, but at key moments is upbeat enough to be lively, and smooth enough to be dramatically cool. In the movie American Hustle the characters and we at first don’t hear any epic rock numbers, but instead are surrounded by chic lounge type music as we rub shoulders with the social elite living a life of luxury. It is soon made clear that they have actually become rich as a result of tricks and deception. The music itself represents the glory days of the early eighties, where everyone dressed to kill all the time, evident in a backing track like the number used from Buffalo Springfield’s For What It’s Worth, calmly paced song that has the emotional feel of cool with no sense of urgency, but that at the same time gives a sense of a get-it-done attitude. An iconic song that appears here is by the world famous artist Paul McCartney, a song which was also used for a James bond movie that had come out at the time with the title Live and Let Die. This was a song that in a way defined the times. Despite having its breathtaking moments, the song quickly calms down as the artist sings a poetic set of lyrics before shifting back to an exciting beat and combination of simple guitar riffs accompanied by brass instruments, all of which really hammers in the nail of urgency. Another famous tune included here is the song Goodbye Yellow Brick Road by the global megastar Sir Elton John. The score for this film gives a real musical tribute to a long gone era that was a defining time in history for the emergence of global pop culture, were songwriters could reach millions around the world. The songs chosen for American Hustle are truly special in the way that their dramatic nature mixes beautifully with the amazingly beautiful story on screen, in a one of a kind result that was rewarded with multiple and justly deserved rewards.